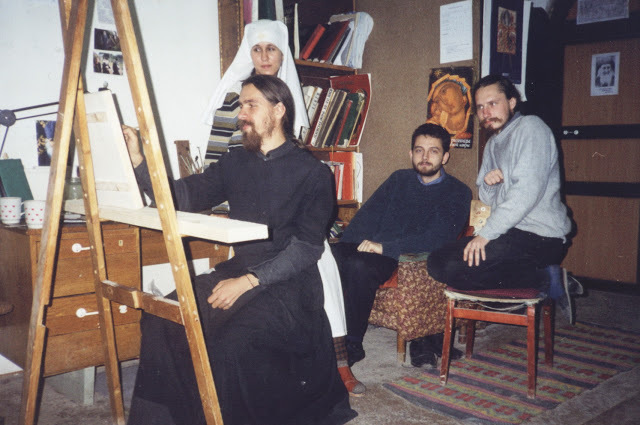 People often ask a lot of questions concerning the icons created by the icon-painters of St. Elisabeth Convent and iconography in general. Why does it take so much time to make an icon? Why is the process so complex? What are the materials used? Finally, why have handpainted icons always been so expensive to create? 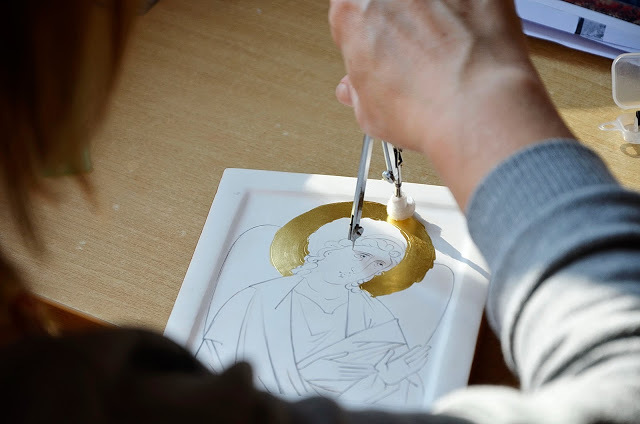 We have prepared an article for you, which will show you all the stages of painting icons in St. Elisabeth Convent’s studio and will help you to understand why this process is so labor-intensive. 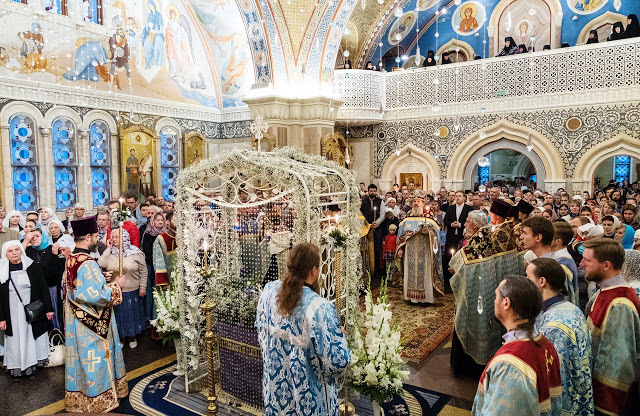 An icon is a visible image of the Holy Savior, the Mother of God, or the saints whom we venerate, whose example we are inspired by, and whom we try to emulate. 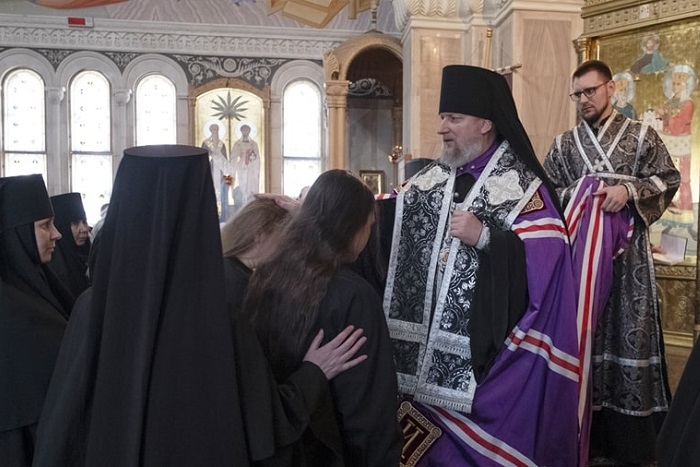 As we ask our heavenly patrons for help and intercession, we instinctively want to pray in front of their icons. 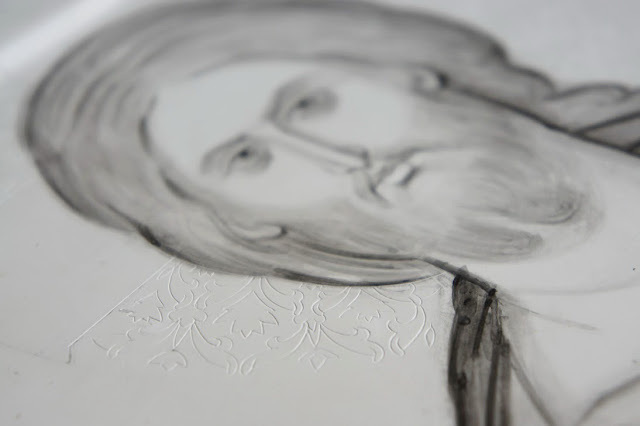 We look at the images, and it makes our prayer more personal, profound, and heartfelt. 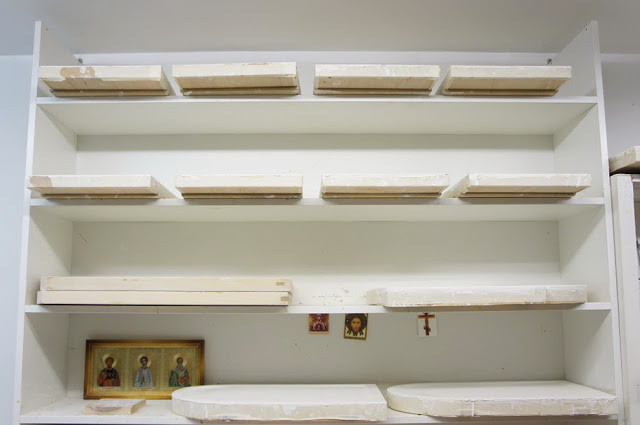 When we were building our first church in St. Elisabeth Convent, we naturally needed some icons for that church. 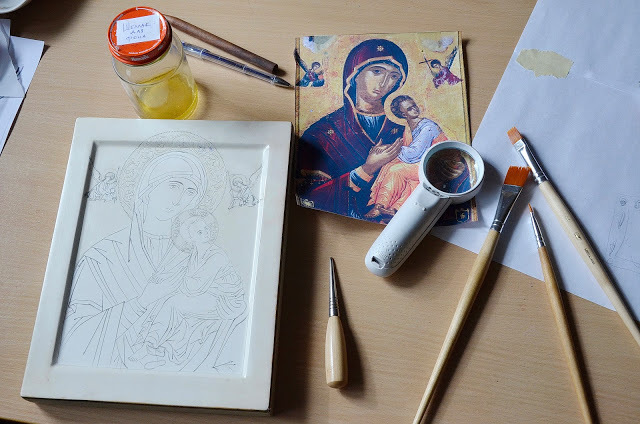 With the blessing of the spiritual father of the Convent, we decided to open our own Icon Painting Studio. 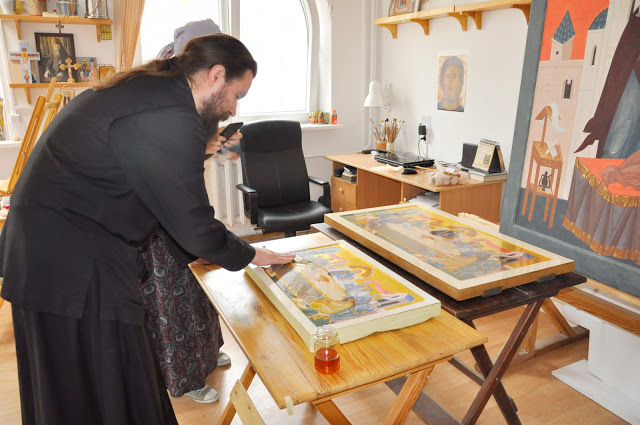 Our nuns and lay brothers and sisters, who had had artistic training, acquired icon painting skills, and their first task was painting icons for the iconostasis of the lower church in honor of St. Nicholas the Wonderworker. The more icons they painted, the greater their skill and expertise was. 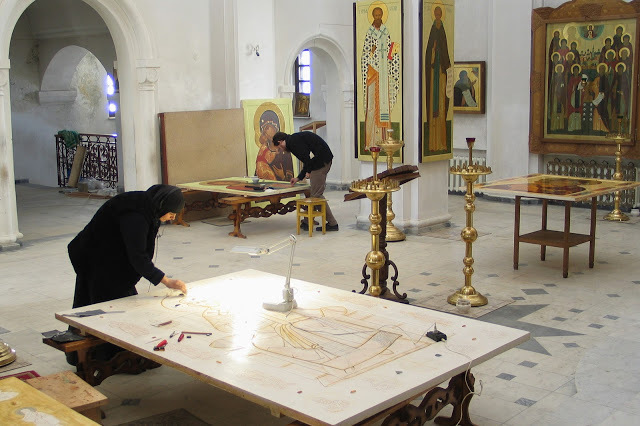 Little by little, the icon painters mastered the ancient methods and traditions. 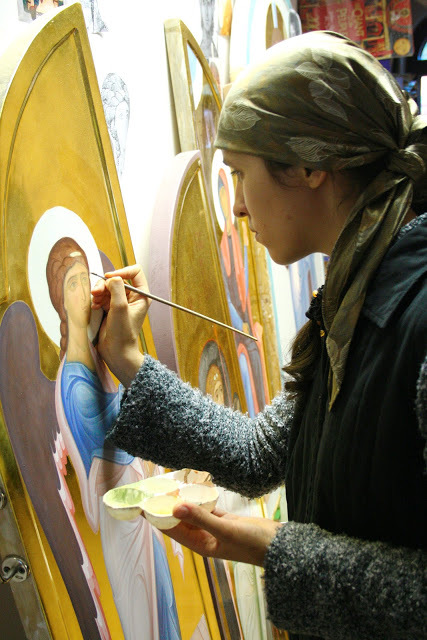 Soon enough, the Convent was filled with the icons painted by our own painters, and at that point they began taking orders to paint icons for churches in Belarus and abroad. 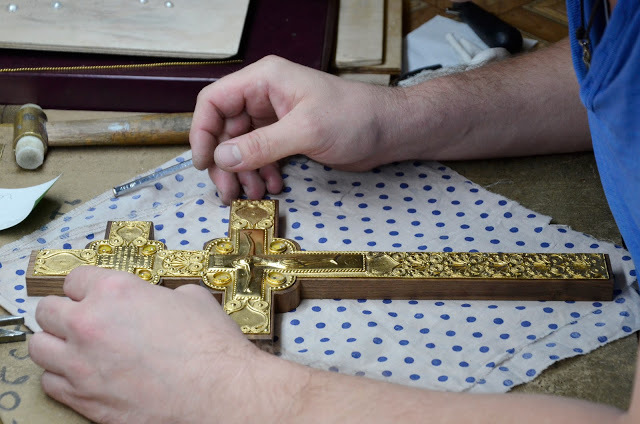 Icons have been a symbol of wealth since ancient times because all icons were painted and therefore were quite costly. 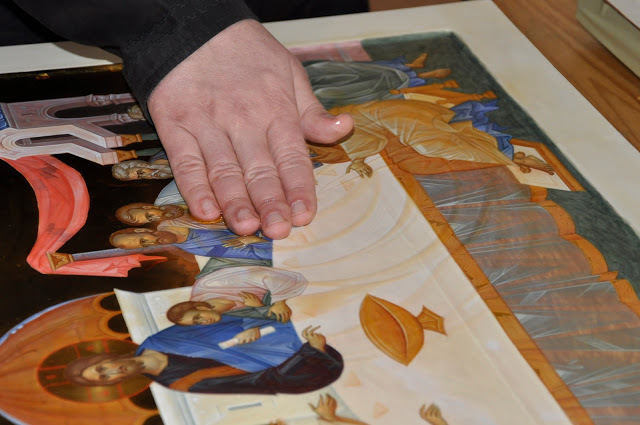 Icon painting is a special process that takes quite a lot of time and requires certain skills. 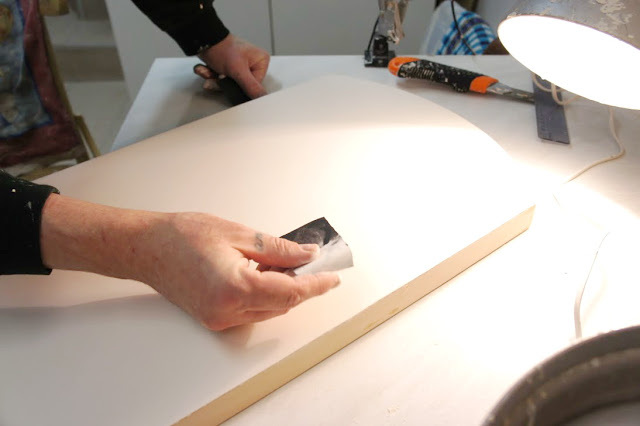 Beside that, an icon painter has to follow a distinct set of rules that has been shaped over many centuries. 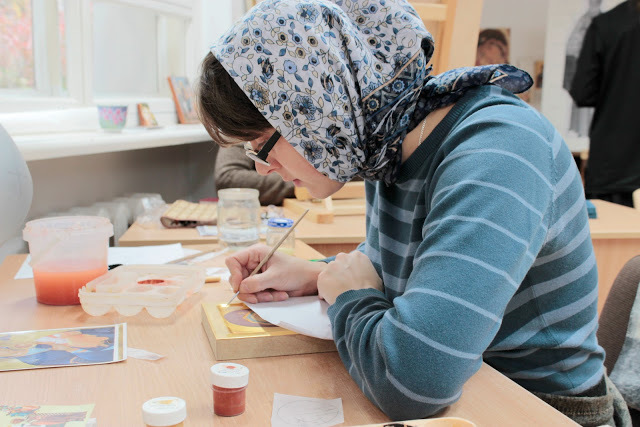 Our Icon Painting Studio mostly draws the inspiration for their icons from the 12th-14th century Byzantine and Russian samples. 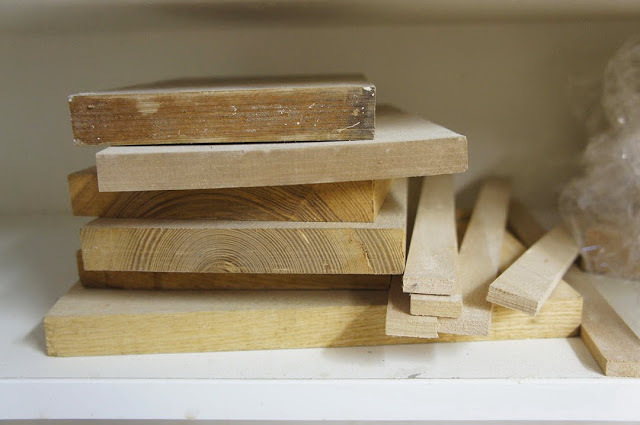 in the center of the wooden board. 2. 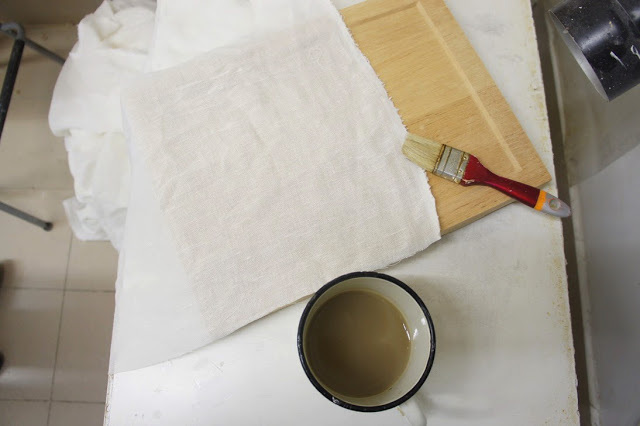 A linen canvas is glued to the front side of the board. 3. 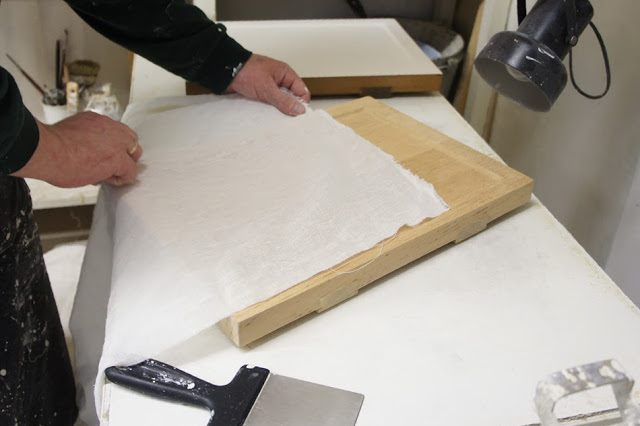 The board is covered with five or six layers of gesso – a mixture of hide glue and chalk. 4. 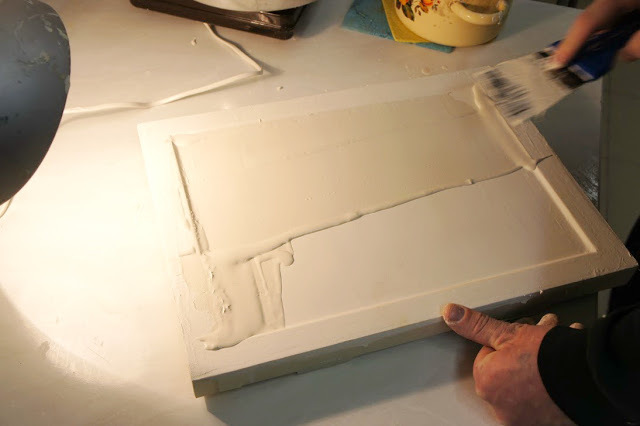 Once the gesso dries up, the surface is polished. 5. 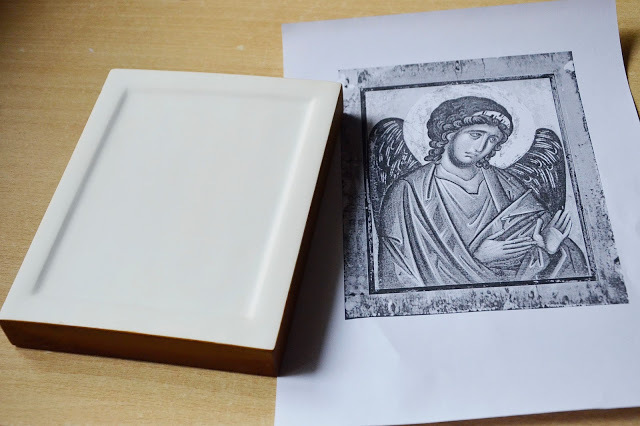 The next stage engages the icon painter directly: it’s the choice of the right sample. 6. 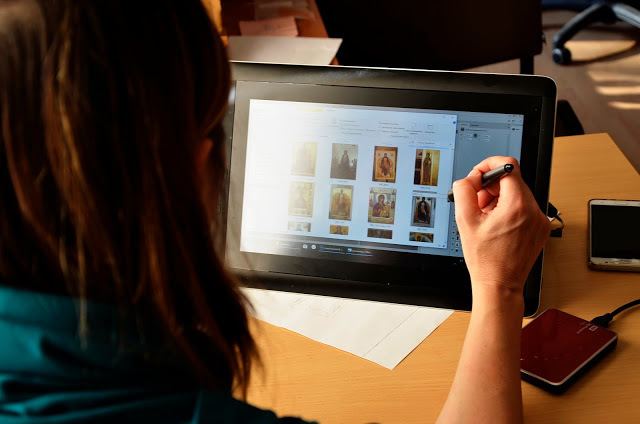 The icon painter draws a pencil sketch of the icon. 7. The contour is embossed. 8. 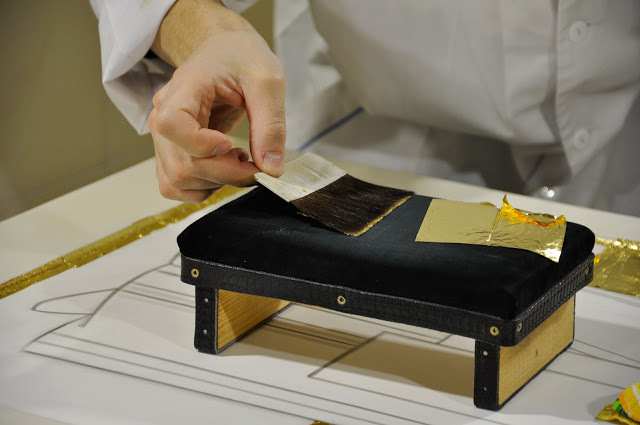 The surface is plated with gold leaf. 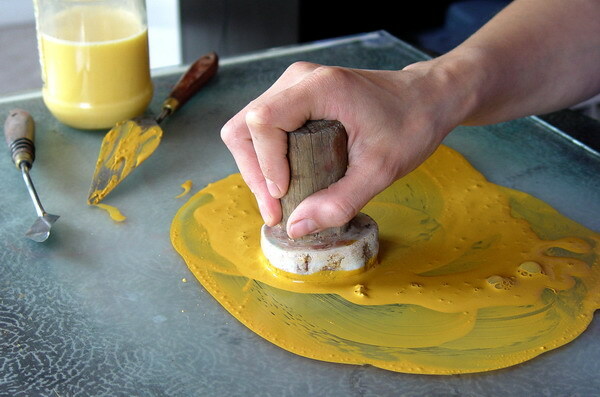 Gold leaf is the name of thin sheets of gold that are attached to the surface covered with an oily substance. Gold-plating is mainly used for halos and backgrounds. 9. The gold halos are covered with shellac. Shellac is a resin secreted by the female lac bug, which lives on trees in the forests of India and Thailand. 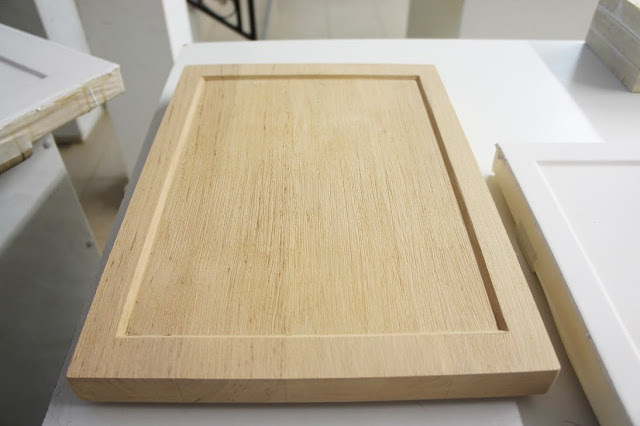 It is used to protect the gold-plated surfaces. 10. 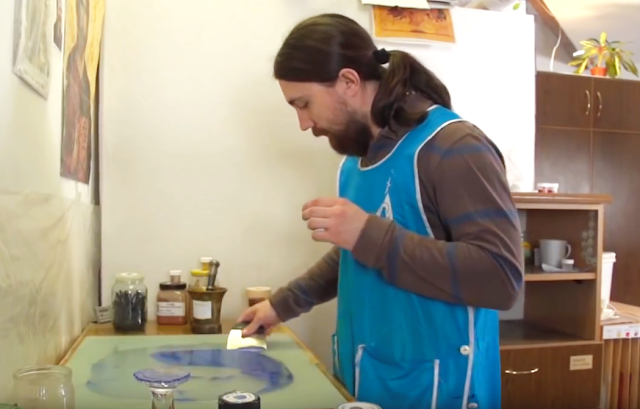 The icon painter picks up the colors and prepares a special paint called tempera, which is made by hand from powdered minerals and semi-precious gemstones mixed with egg yolk. 11. 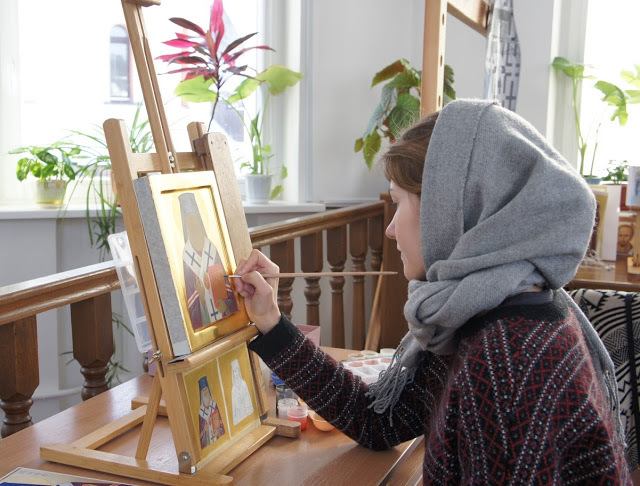 Finally, the icon painter starts to paint the icon in full color. 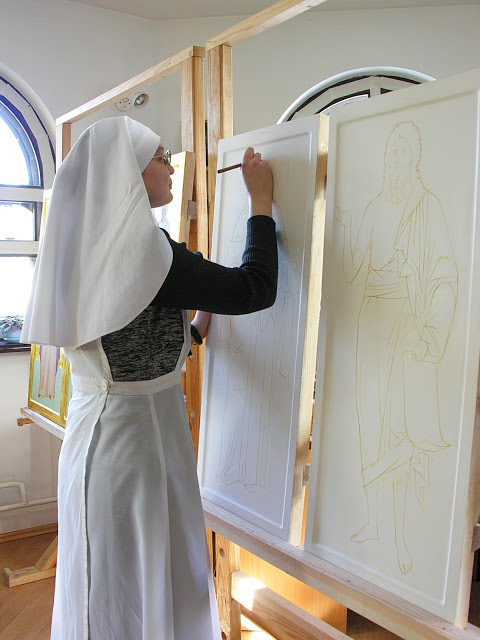 First, he paints the vestments, the landscape, and the buildings if necessary. 12. 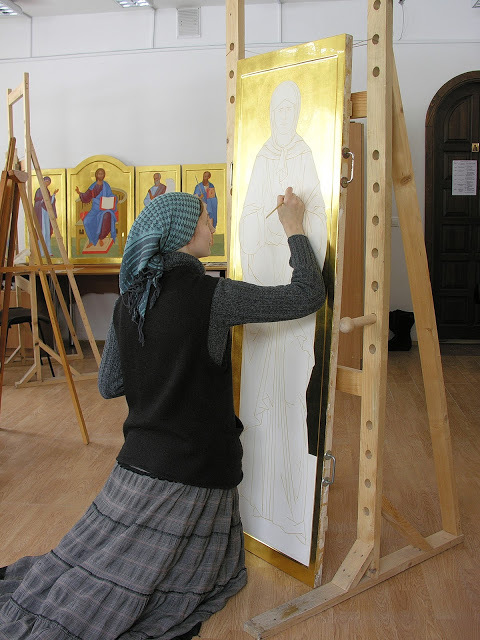 Then, the icon painter paints the face, the hands, and the feet of the saint. 13. 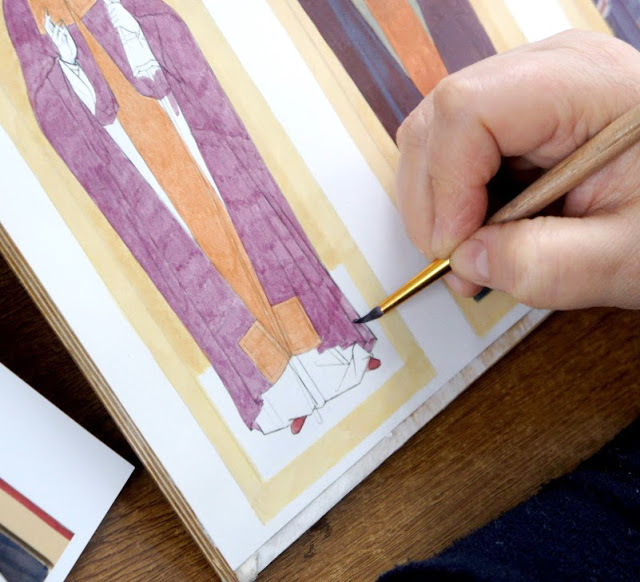 When the icon is almost finished, the vestments of the saints are highlighted by the so-called assist, i.e., thin strokes of liquid gold. 14. 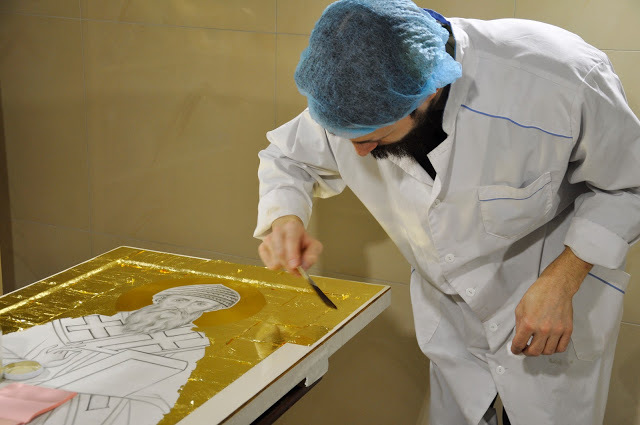 The icon painter makes the inscriptions of the name and the heavenly rank of the saint. 15. Finally, the icon is coated with linseed oil and varnish. 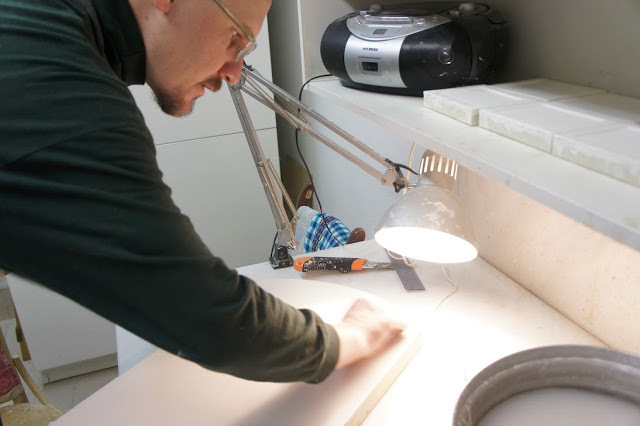 Thus, as you can see, the icon is made by several people, each of whom specializes in a certain stage of the process. It’s the only way to achieve the highest quality. 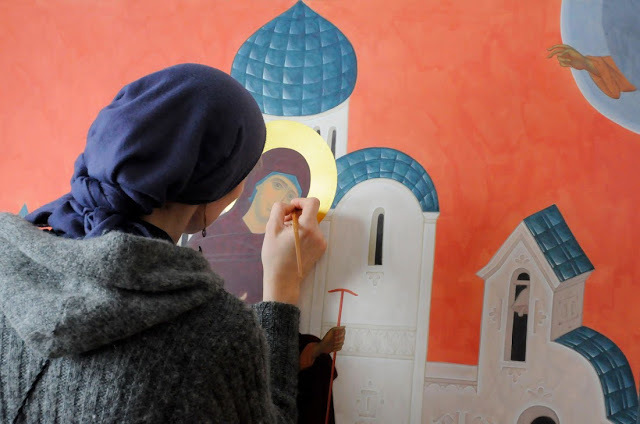 Icon painting is one of the most ancient church arts that make the Orthodox Church the bearer of an authentic tradition. 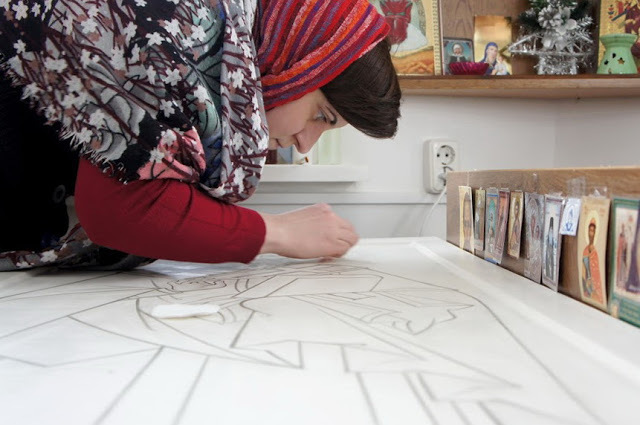 When you acquire a painted icon, you touch a mystery and become a participant and a keeper of the sacred tradition. 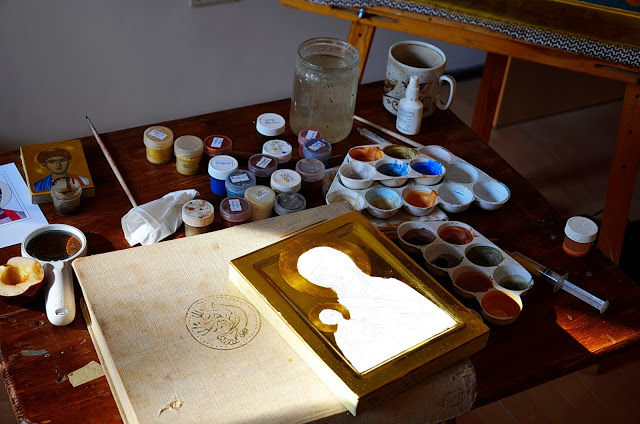 Painted icons are preserved for centuries and passed on from generation to generation as a family heritage and a symbol of blessing and connection.